What Does Diminished Earning Capacity Mean in South Carolina? In addition to the compensation you receive as the result of a personal injury lawsuit to pay your medical expenses, there is also compensation available for estimated costs. For instance, your attorney will estimate a value related to your pain and suffering, based on cases that are similar to yours and on the opinions of experts. Another aspect of compensation that includes estimates, as well as some definitive information, is a loss of income and earning capacity. If the injuries you have suffered are serious enough to keep you from work, you have the right in Camden, SC to pursue compensation for the wages you miss out on during your recovery, as well as any future earnings you might no longer receive. The latter is diminished earning capacity, and it means your injuries will cause you to earn less than you would have if you never suffered those injuries. Do I Qualify for Diminished Earning Capacity Compensation? You’ll likely receive a variety of damages if you are injured in a car accident or another incident that is the result of someone’s negligence. Though many of these damages are direct expenses associated with your injuries, diminished earning capacity is the result of permanent disability that prevents you from working or at least working in the manner you would have had the accident not occurred. Not sure if you should file a claim for loss of earning capacity? Contact The Connell Law Firm! The legal system takes into account that a person might not be able to support him or herself, as well as a family, because of injuries. Claiming diminished earning capacity allows you to receive the money you’d earn over the years had you not been injured. Since this is a future loss, it needs to be estimated based on your attorney’s knowledge of cases similar to your own, as well as the expert opinions of those who are familiar with your injuries and how your life will be affected because of those injuries. Diminished earning capacity claims substantially affect the total value of a claim because you’re talking about a lifetime of work. The younger a person is, the greater the value of the claim, only because a younger person is missing out on more earning time. Diminished earning capacity claims can be difficult to prove because it is not a direct expense, but an experienced personal injury attorney can help you estimate a fair and reasonable amount to claim and fight for your right to that money. How is Diminished Earning Capacity Estimated? In a simple, definitive calculation, a person in his or her mid-30s earning $50,000 per year would seek at least $1.5 million based on the current salary. The number might be higher when the person’s education, training, career trajectory, and other factors are taken into account. You and your attorney will discuss your situation and determine the best amount of diminished earning capacity compensation to seek. You are entitled to compensation based on your diminished earning capacity that occurs because of someone else’s negligence. However, proving diminished earning capacity can be difficult, and it is one of the most highly contested issues in a lawsuit. Attorneys for the defendant and the insurance companies will question whether or not you really would have earned the money you’re claiming to lose out on as a result of the incident. They’ll point out that you might not have continued earning the same amount over the years or you might not have worked for that number of years. Obviously, it’s impossible to predict the future, but your attorney will work to show the incident caused your life to change in ways you would never have expected. And while the defendants’ attorneys have a point, that doesn’t change the fact that what has happened has changed your earning capacity. Maybe you wouldn’t have earned X amount of dollars, but because your injuries, you will not earn X amount of dollars. Unfortunately, it’s the plaintiff in personal injury cases that have the burden of proof when it comes to showing diminished earning capacity. You’ll need to prove you would have earned the amount of your claim to receive that compensation. This is one of the reasons why it’s so important to work with an experienced personal injury lawyer. Not only do you need someone who understands how to calculate diminished earning capacity, but you also need someone who needs to prove the amount is reasonable and fight to ensure you receive what you deserve. Should your lawsuit go to court, you’ll only have one opportunity to present your case to the judge and jury – you want to be sure your attorney knows how to accomplish your goals. 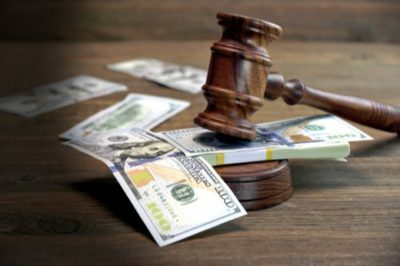 At the Connell Law Firm, our Camden, SC team can estimate your future earnings and present a fair and reasonable amount to the defendant. We’ll work hard to negotiate a fair settlement in your favor, but if that doesn’t work, we’re prepared to go to court to fight for what you deserve. We have a network of experienced experts who can review your case and help us make decisions about the compensation you deserve. Not only will their opinions make it easier to estimated future earning capacity, but they can also evaluate your medical issues and determine the costs associated with future medical care. We’ll also assess your situation and determine a fair amount of pain and suffering compensation. Nothing can fully restore your life or return things entirely back to normal after you are injured in an accident. Our goal is to make things as easy and stress-free as possible for you during while your case proceeds and help you rebuild your life once your case is settled. If you’d like to speak to someone about diminished earning capacity or any other issue related to a personal injury claim, contact us the Connell Law Firm at 803.310.5700.